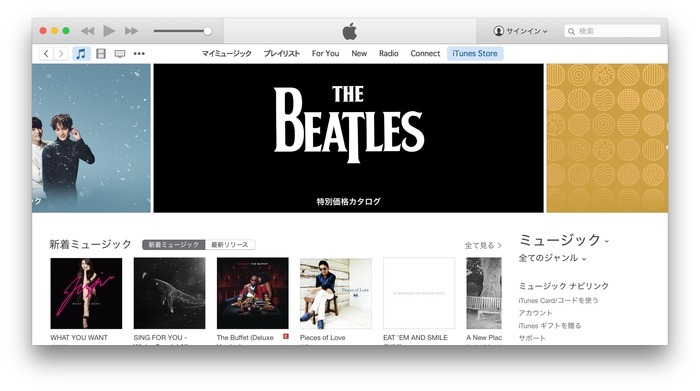 iTunes Store ミュージックのトップページを開くとMacのCPU使用率が増大する不具合はOS X 10.11.4で修正されるもよう。 | AAPL Ch. As you can see, with a carousel visible in the iTunes Store, and iTunes in the background, Activity Monitor shows a mere 0.3% activity for iTunes, and none at all for iTunes Helper. 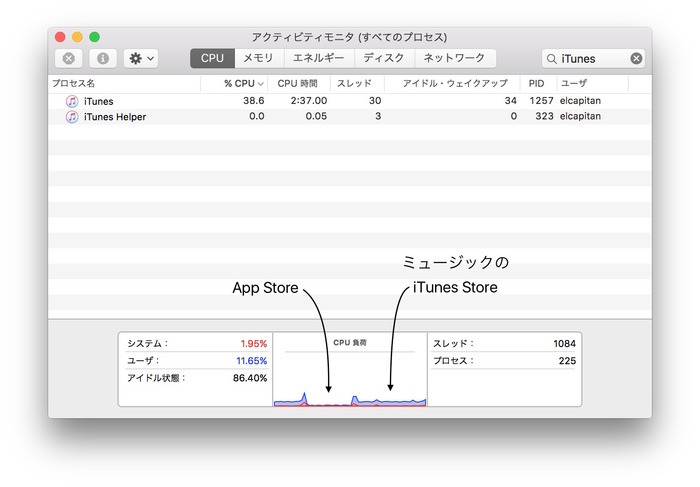 This is good news, since this background activity can be a big hit on your battery if you use a laptop.